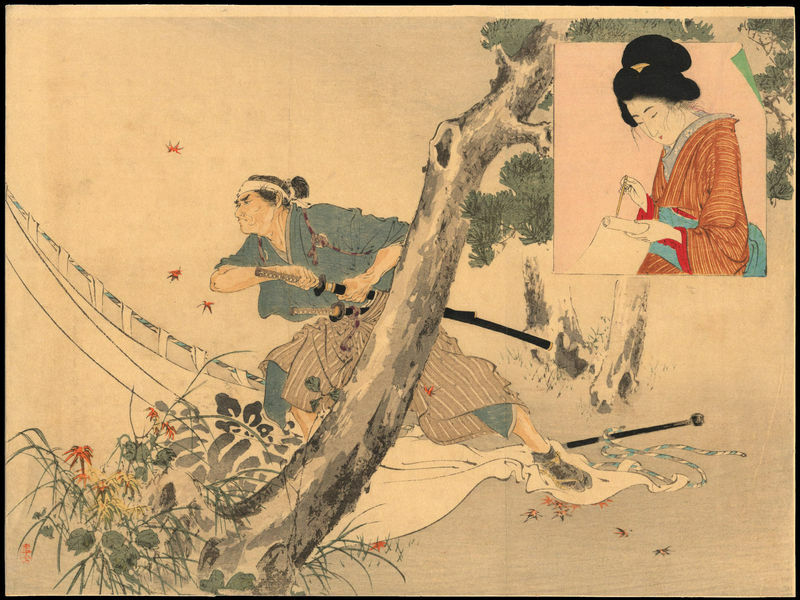 Toshikata, Mizuno (1866-1908) Shosetsu "Samurai and Bijin Poet" - Woodblock - Chinese and Japanese woodblock prints for sale, silkscreen, scrolls, watercolor, lithographs. Artwork Details for Toshikata, Mizuno (1866-1908) Shosetsu "Samurai and Bijin Poet"
Condition: Very good. Usual two kuchi-e folds. Lightly backed.